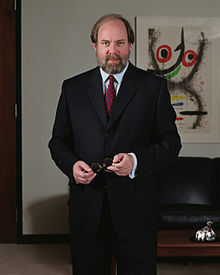 A few years ago in Hess Newmark Owens Wolf, LLC v. Owens, Judge Frank Easterbrook of the Seventh Circuit explained in simple terms that the law's grudging attitude towards restrictive covenants is best explained by the fact employees often are tricked into signing, or feel compelled to sign, agreements that later turn out to be disabling. There's good reason to cite to Posner and Easterbrook opinions, and it doesn't require lawyers to subscribe to a particular brand of law-and-economics analysis. Judge Easterbrook's affirmance rate by the Supreme Court is twice that of the average circuit court judge. And measuring a circuit judge's effectiveness by how often he or she is cited by other circuit court judges, Posner and Easterbrook rank 1 and 2 respectively - by a wide margin. Plus, they just make sense. The reason I bring up the Owens case is that it helps coalesce the various reasonableness factors into a very simple, straightforward analysis. In my previous discussion of the Capital One v. Kanas case, Judge Liam Grady in Virginia took special pains to differentiate that John Kanas was hardly the novice when signing a covenant he later challenged as unreasonable. Though it's sometimes hard to figure out where in the compartmentalized analysis this factor fits, it permeates the reasonableness test. In Kanas (as in Owens, for that matter), the individual signing the covenant was sophisticated and gained more than just a mere job opportunity in exchange for signing the restriction. It was hard for Judges Grady and Easterbrook to conclude either defendant was the type of individual the law meant to protect from disabling restrictions. The Easterbrook formulation is helpful, too, to assess covenants from the employee's perspective. I think it's fair to say that when an employee signs a non-compete she may have a layman's understanding of what it means. For a sales person, the thought process likely is "stay away from my accounts." But she may not anticipate the actual scope of the restrictions beyond this, particularly if the covenant is written in dense legalese. A non-lawyer is not trained to think in hypotheticals, so the sales person may not appreciate what type of competition the covenant actually prohibits beyond what is foremost in her mind at the point of signing. The overall point is this. Assessing reasonableness does not need to be highly fragmented, and lawyers don't have to always fit the facts into the little black boxes of three-part tests. Sometimes, as Judge Easterbrook points out, it is enough to hone in on the purpose of the law and argue your case around that.